We do not hear much about polytheism in the West these days. This is surprising when one considers that some contemporary religions have polytheistic components (e.g., Buddhism, Shinto, Hinduism, Serer, and trinitarian forms of Christianity) or that pagan religions have seen something of a revival in recent years (e.g., Wicca, Odinism). I suppose many Christians must continue to feel threatened by other religions. Better we don't hear about the alternatives. 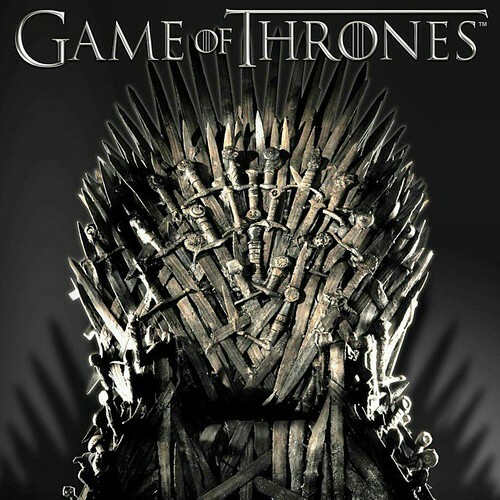 At the repeated urging of a friend, I watched a few episodes from a previous season of Game of Thrones. One of the things that struck me was how some of the characters on the show swore loyalty oaths in which they mentioned both "the old gods and the new gods." I thought this was a brilliant illustration of the absurdity of the Pascal's wager argument of which many Christians are so fond. As I have noted previously, Pascal's wager need not lead someone to the Christian god any more than it lead them to any other sort of god(s). The characters in Game of Thrones seemed to be hedging the bets by trying to acknowledge all the various gods in which their group had believed. And why not? It isn't like there is more evidence for one god over another. If one really bought into Pascal's wager, wouldn't it be wise to worship as many gods as possible to maximize one's chances of being correct? I realize that Game of Thrones is fictional; however, I found myself wondering if there was a historical precedent for people feeling trapped between the old gods of their ancestors and whichever new one(s) they are expected to worship. It seems like there would have been many ancient societies in which that could have been the case. During the Christianization of Norway, for example, I wonder if there were Norwegians who tried to split their allegiance both the the pagan gods of their ancestors and to the new Christian faith. It seems likely.